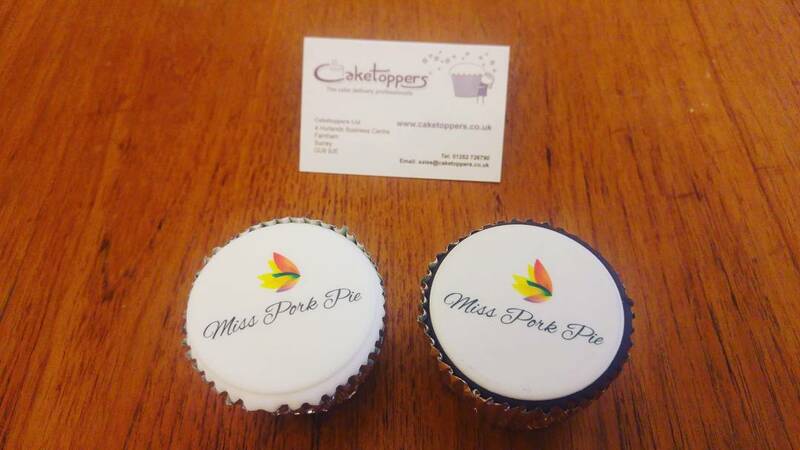 I was contacted last week by the lovely people over at Caketoppers, asking me if I’d like to review two of their delightful cupcakes, with a choice of what I wanted, printed on the top. After much thought about what I’d like to have printed onto my cupcakes, I decided to use and officially release my new logo, and what better way to do it, than on a cake?! I emailed them back promptly with my logo design and within a few hours I had email confirmation that my cupcakes would be sent the next day. I couldn’t believe how clear the print was on the cupcake. In with the box came some business cards (which I will totally be handing out) and a little information leaflet with all ingredients on, information about which cupcake was chocolate and which one was regular sponge. It also came with a useful best before date stamped onto the top of the leaflet! The cupcakes were wrapped individually in sealed bags and packed in between bubble wrap. I did wonder how they would manage to pack it without risking the cupcake being ruined! Naturally, I chose the chocolate cupcake to try first..
What an absolutely beautiful cupcake. It wasn’t like your usual cupcake, crumbles as soon as you take the wrapping off. This held itself perfectly, which is of course a bonus because no waste of a chocolate cupcake! Winner winner! So if you’re looking for quirky personalised cupcakes for literally any event, I couldn’t recommend these lovely people enough! I wish I hadn’t read that before breakfast. I want cake now! What a fab idea! Am going to have a look at their site. I love how clear the logo is! Craving cake now lol – they look good! How cute are these? Your own personalised ones <3 aww love it! I need to check the brand! These would be great for my day job, thanks for sharing!